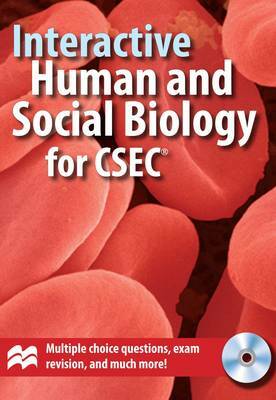 "Macmillan's Interactive Science for CSEC[registered] CD-ROMs" each contain 16 topics. Within each individual topic are: Animations; Multiple Choice exercises; True or False questions; Drag & Drop activities; Comprehension Check; Word games - a crossword or word-search; and, Explanations to show why answers are correct or incorrect. The CD-ROMs feature a Markbook function which enables students to record their progress as they work through the various practise activities. All of the topics come with audio explanations and commentaries which have all been recorded in the Caribbean. Each CD-ROM has been specifically developed to aid students preparing for the CSEC examination in science subjects. The animations, games, audio and interactive practice exercises will provide students with engaging and stimulating resources to assist their studies in secondary science. The topics available on the CD-ROMs are those identified as the most challenging within the CSEC syllabi, and those which students need further practice and reinforcement to help their learning and retention of ideas and concepts. Within each topic students will find a variety of exercises, with over 350 combined Multiple Choice, True or False and Drag & Drop activities on each disc. In addition, there are animations and an audio comprehension check activity. A Word Search or Crossword Puzzle on each CD-ROM provides a fun review for students. The Markbook function enables students to keep track of their progress as they work through the different exercises. Parents or teachers may also want to use this function to monitor their student's learning. Students will be see their exercises marked instantly and helpful feedback is provided for each question to explain why answers are correct or incorrect. "The Interactive Science for CSEC[registered] CD-ROMs" are perfect for self study and encouraging learner independence. They can also be used by teachers on interactive whiteboards, with projectors or in computer labs to provide students with additional practice in a fun and stimulating format.